At the south side of Trinity Bellwoods Park on Queen Street, just east of the Trinity College Gates, is an Ontario historic plaque dedicated to Major General Aeneas Shaw. The official unveiling of the plaque took place in the spring of 1970. Aeneas Shaw, a son of Aeneas, 9th Chief of Clan Ay, was born at Tordarroch, near Inverness, Scotland 1740. As a young man he received a commission in the British Army. He later sailed to the shores of America,settling on Long Island, New York 1770. He joined the Loyalist,Queen’s Rangers as an Ensign in 1776.He distinguished himself in the most distinguished British unit of the Revolutionary War, rising to the rank of Captain. In 1783 he married Ann Gosseline of Newtown NY. and left the States for Nova Scotia and then on to York County, New Brunswick with most of his troop. When his Queen’s Rangers commander John Graves Simcoe was made Lt.Governor of Upper Canada he accepted a commission in the Queens Rangers provincial corp for Upper Canada. In 1792 Capt.Shaw packed up the family and travelled to Upper Canada, he settled finally in York. 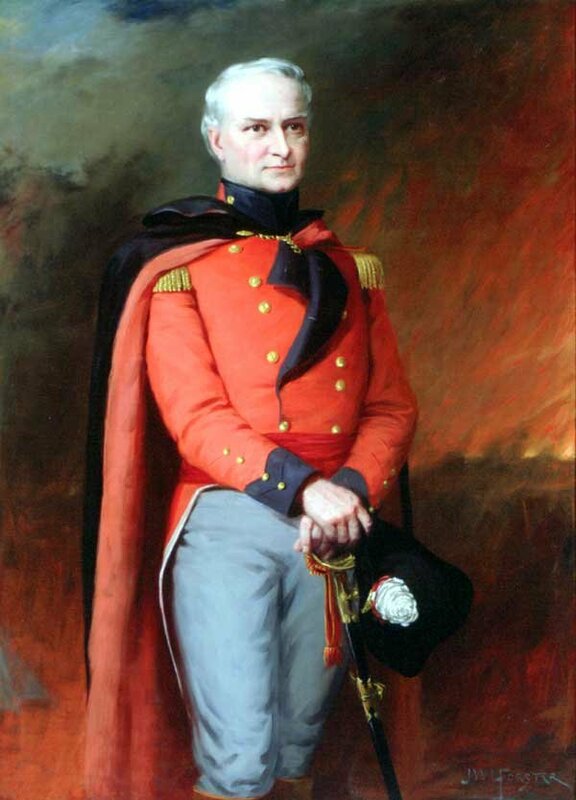 Shaw commanded the Ranger detachment that cleared the site of York in 1793, built Yonge and Dundas Streets and Fort York. He retired in 1803 a Lt.Colonel. Impending war with the States lead to a promotion to Major General of the Militia. He commanded the Militia during the US attack of York in 1813. The General died Feb.6,1814 and was layed to rest at St. James. Aeneas Shaw, a son of Aeneas, 9th Chief of Clan Ay, was born at Tordarroch, near Inverness, Scotland. A Loyalist, he served in the Queen's Rangers during the American Revolution, and later settled in what is now New Brunswick. Commissioned in the reorganized Queen's Rangers, he went to Quebec in 1792 and from there led the Rangers' first division to Upper Canada. The following year he settled at York (now Toronto) and later built a house in this vicinity. He was appointed to the Executive and Legislative Councils in 1794. In 1807 he became Adjutant-General of Militia, was promoted Major-General in 1811, and served in the War of 1812. He died at York, February 6, 1814.